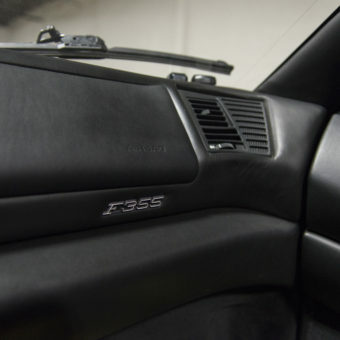 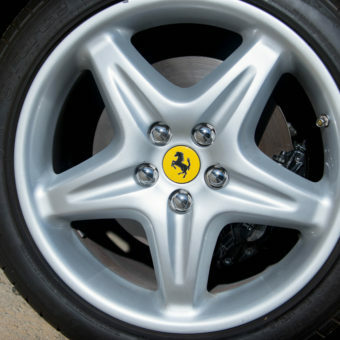 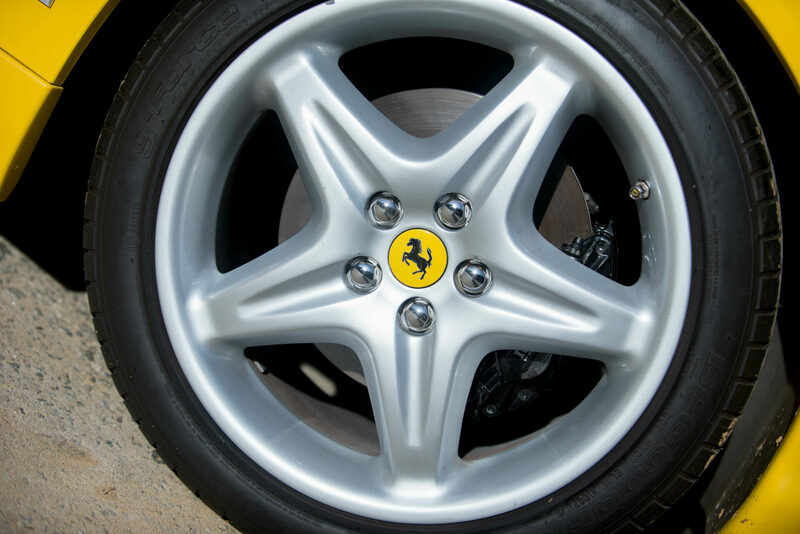 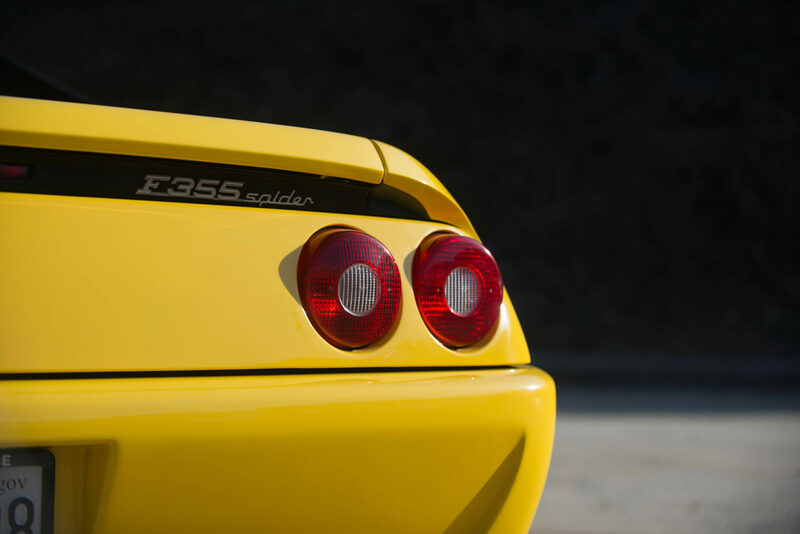 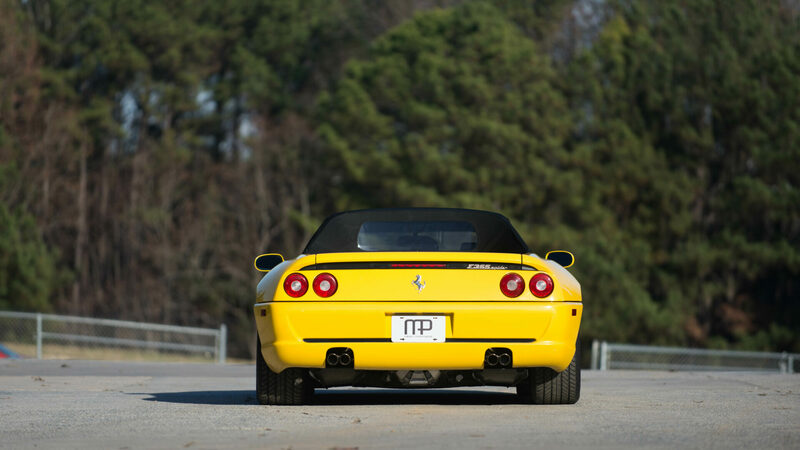 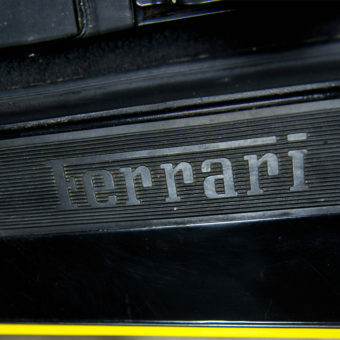 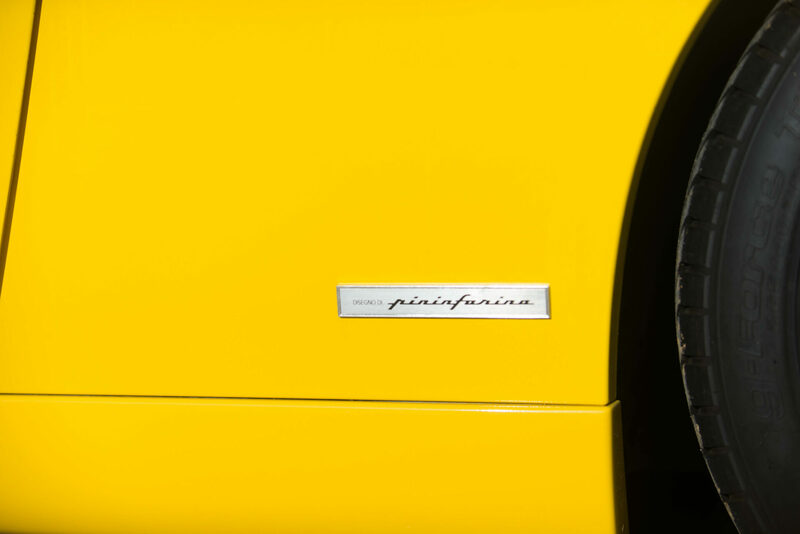 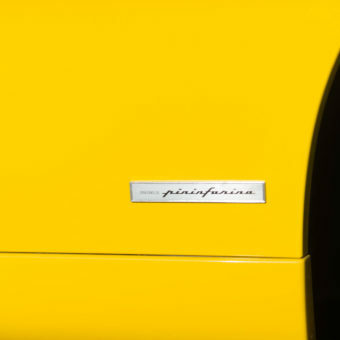 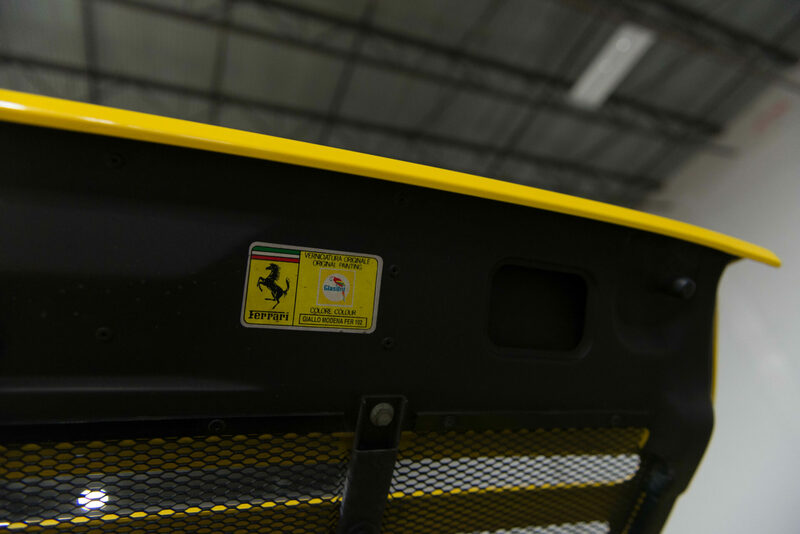 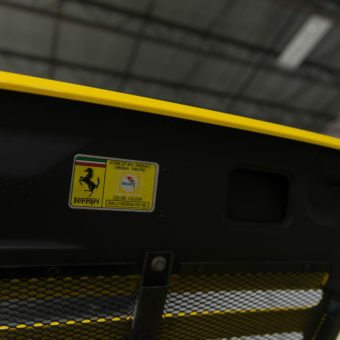 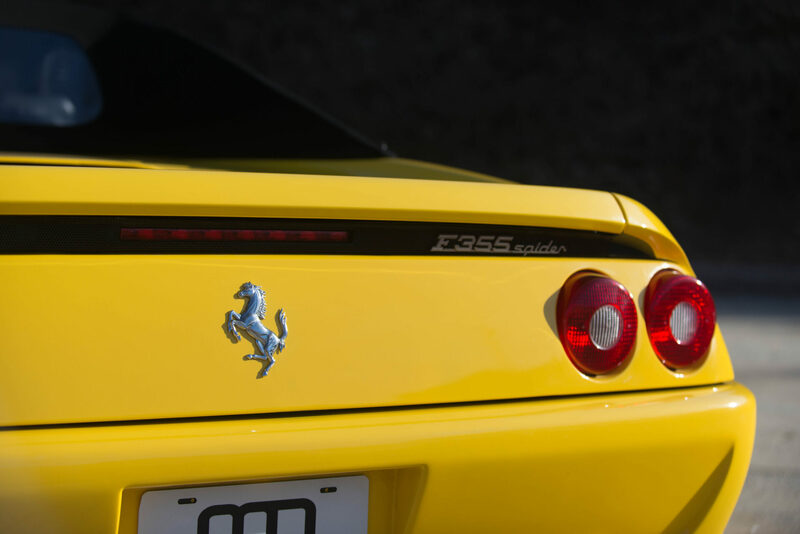 Introduced in May of 1994 and designed by Pininfarina, the F355 would come to be the most popular Ferrari of its time. 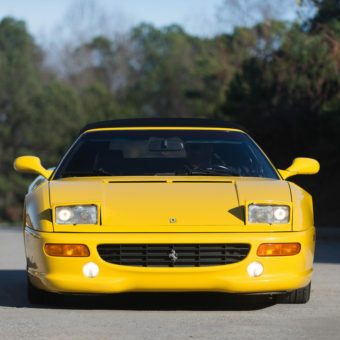 An evolution of the Ferrari 348, it features a mid-engine 3.5L V8 with a newly designed 5-valve cylinder head. 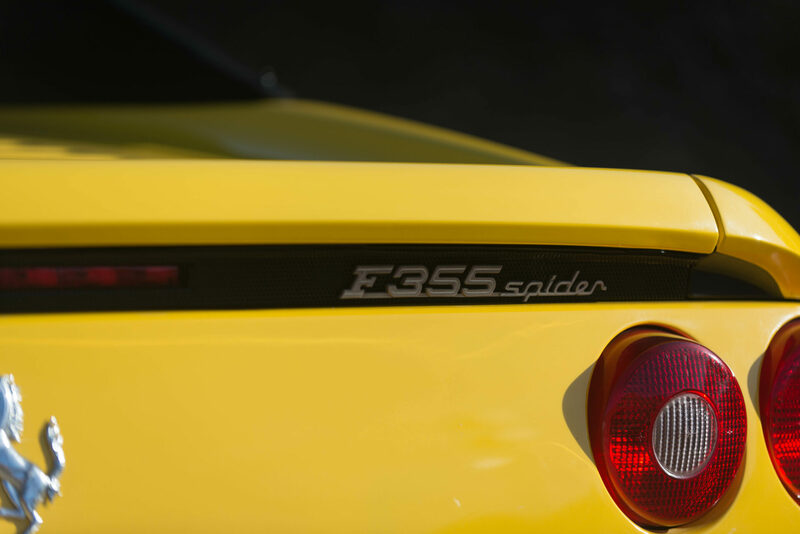 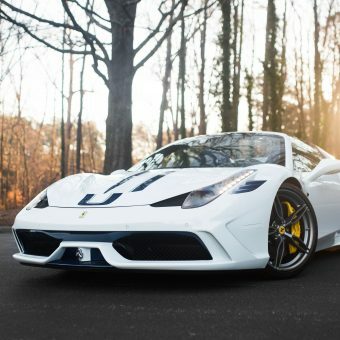 This new design led to a considerably more power powerful engine than that of its predecessor, producing 375hp. 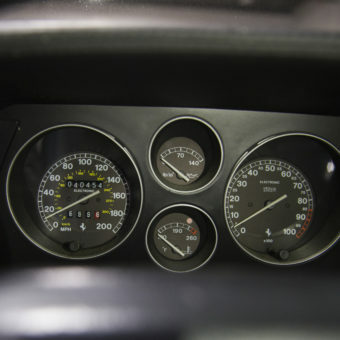 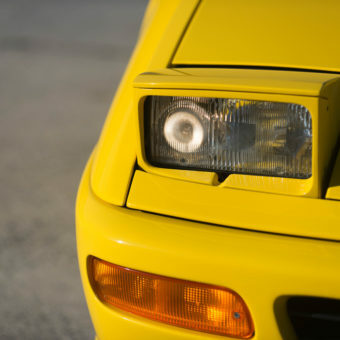 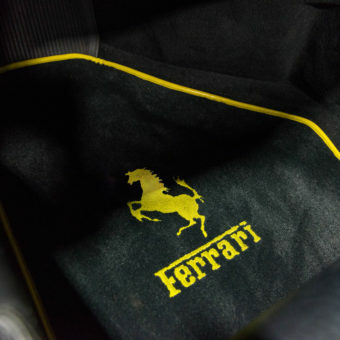 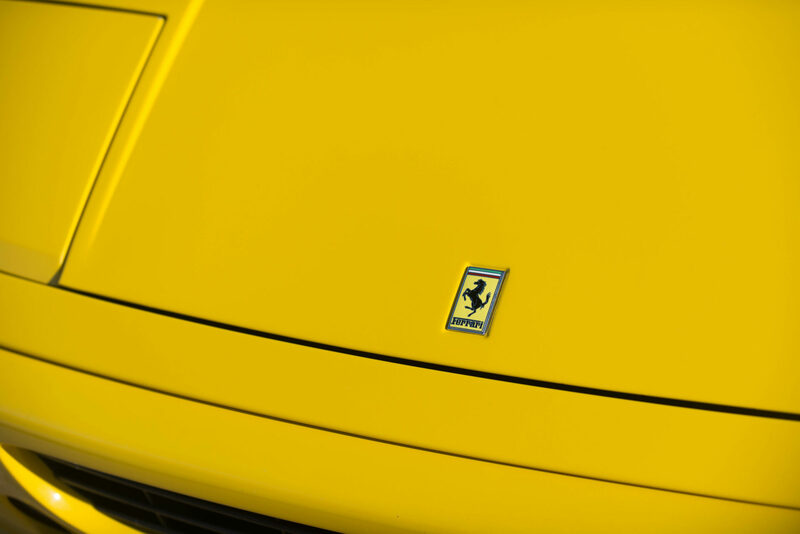 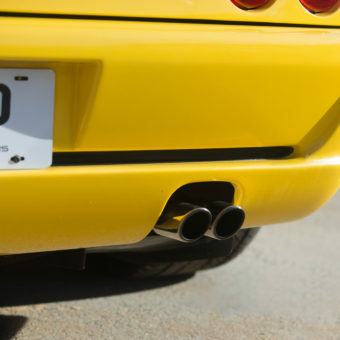 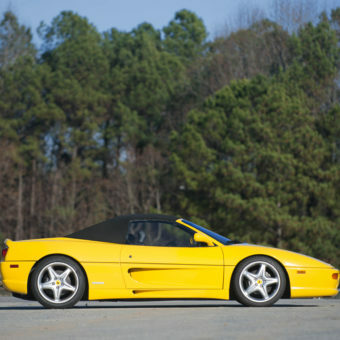 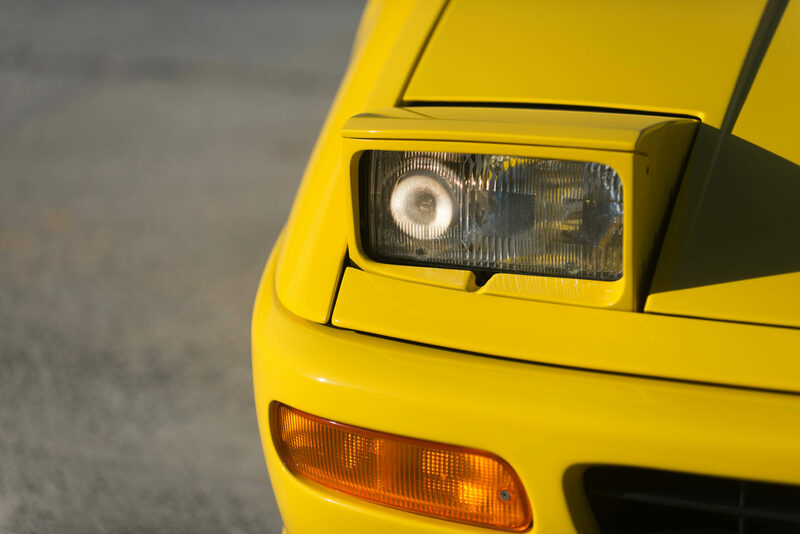 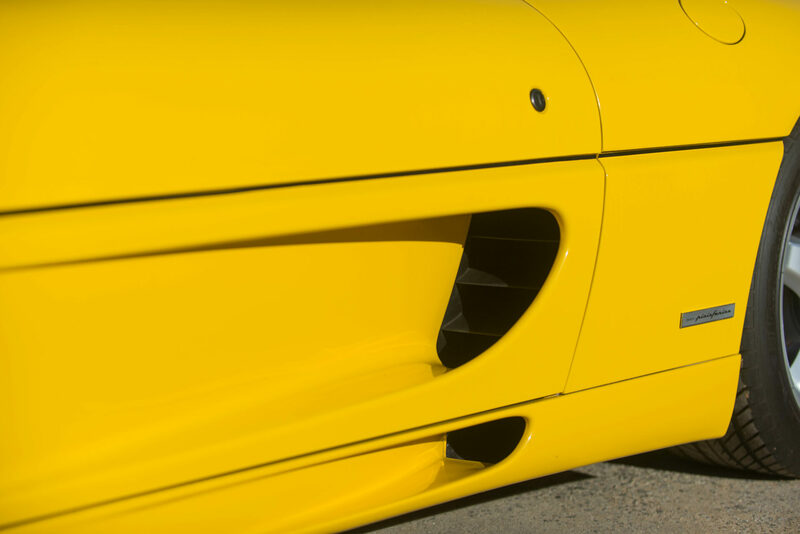 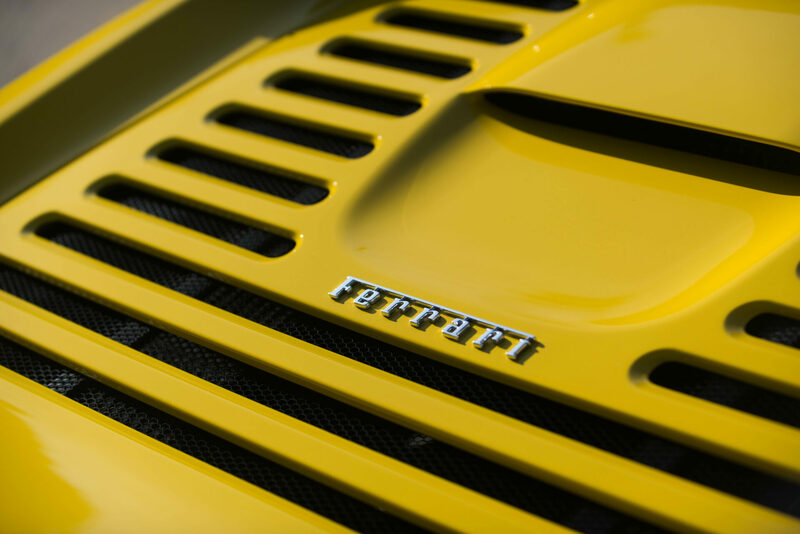 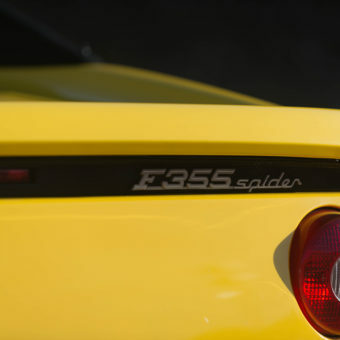 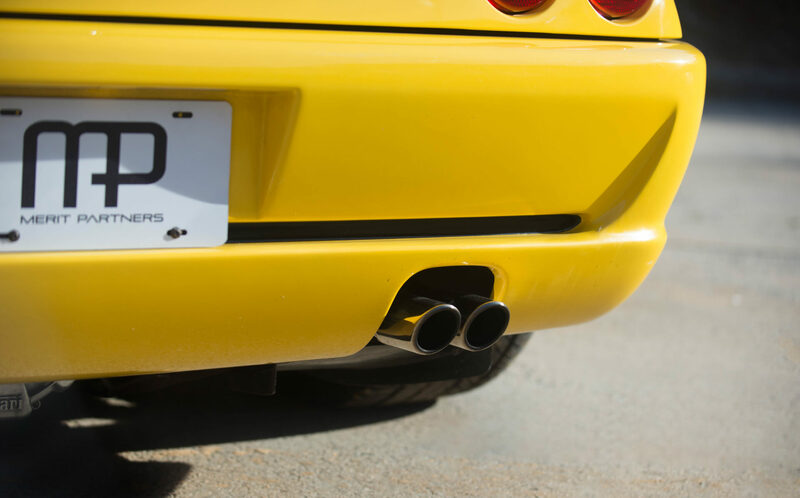 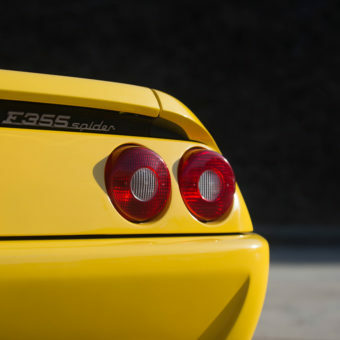 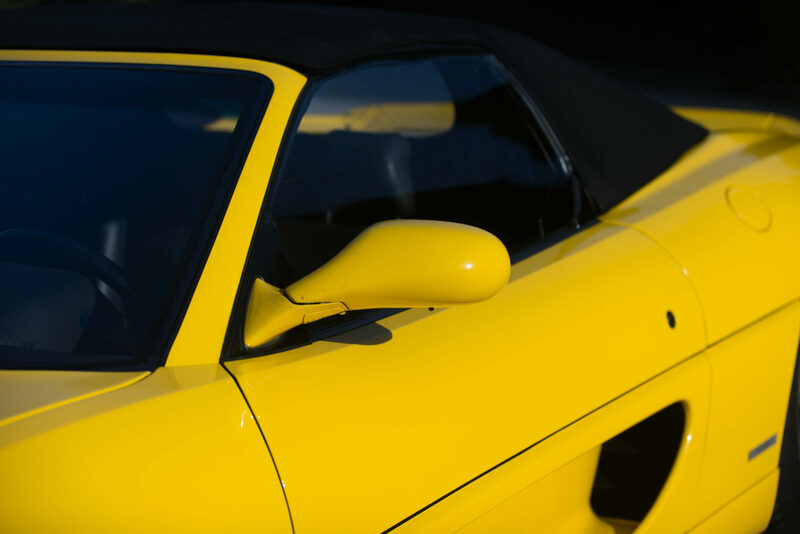 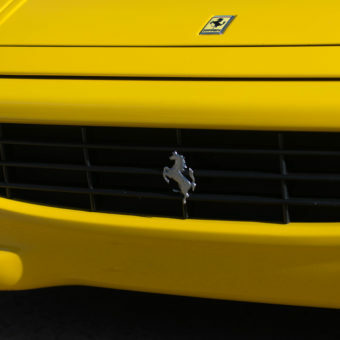 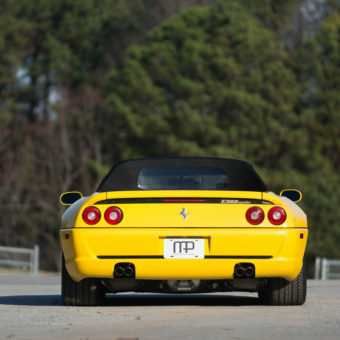 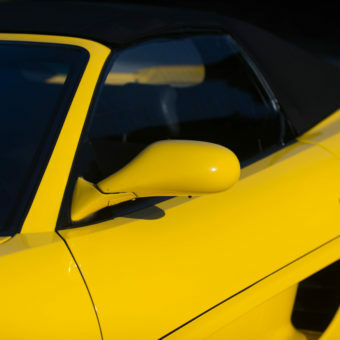 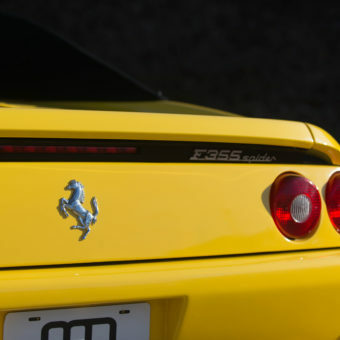 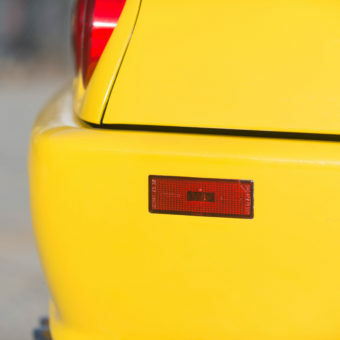 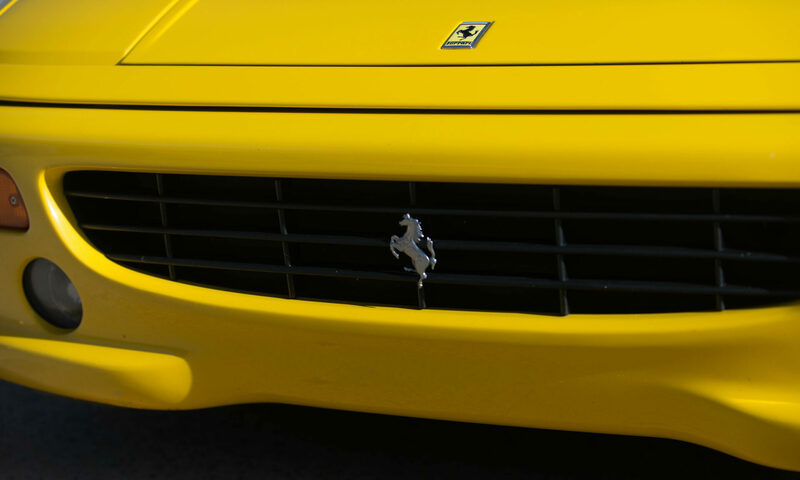 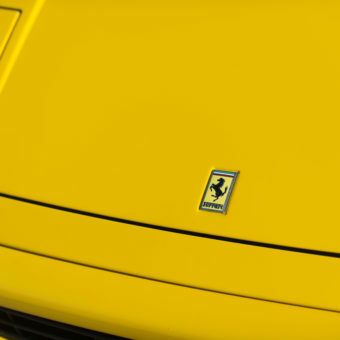 It also led to the moniker of the car, F355, (3.5L with 5 valves per cylinder) which was a departure from Ferrari’s standard naming convention up to that point. 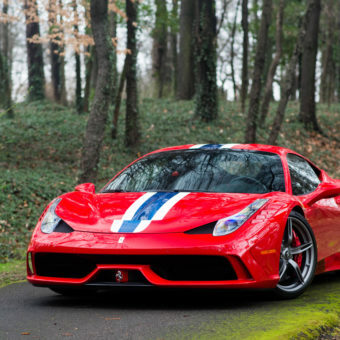 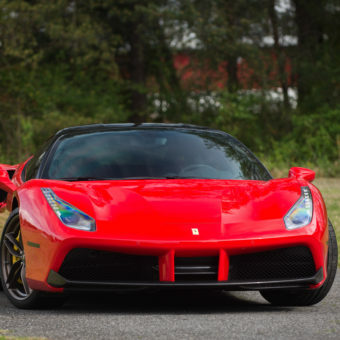 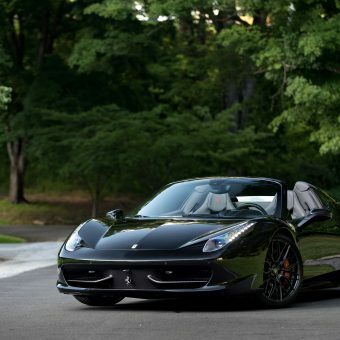 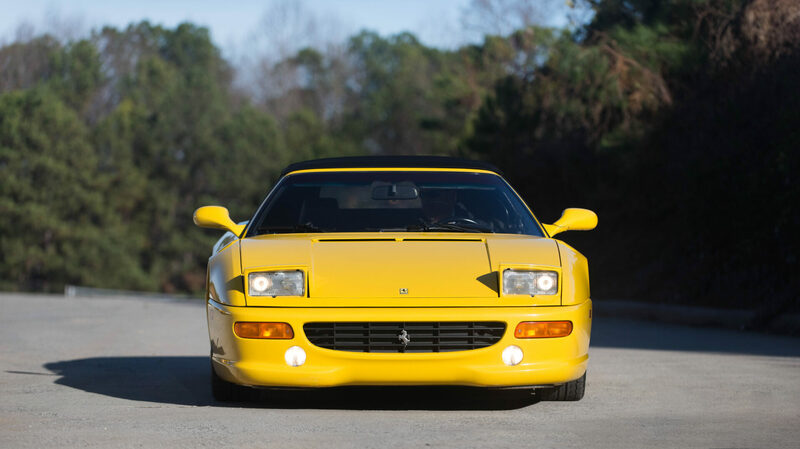 It’s predecessor, the 348, followed the convention of engine displacement followed by number of cyclinders. 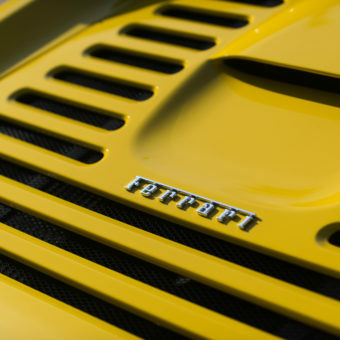 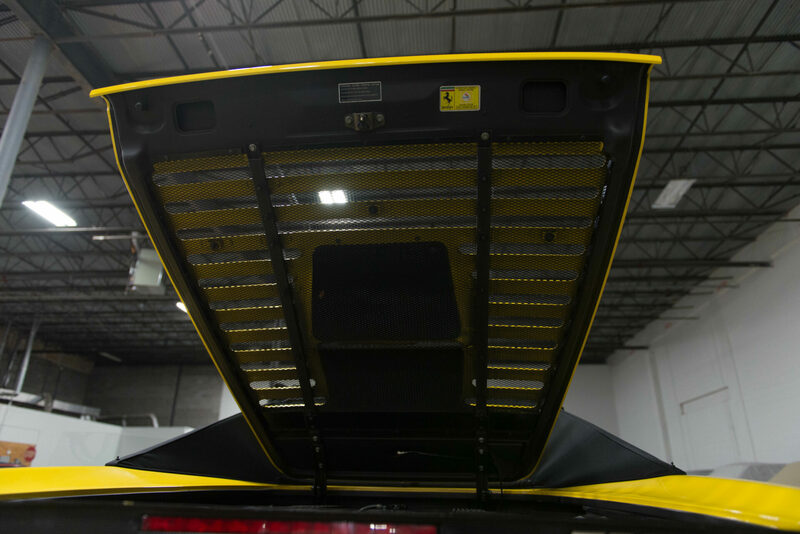 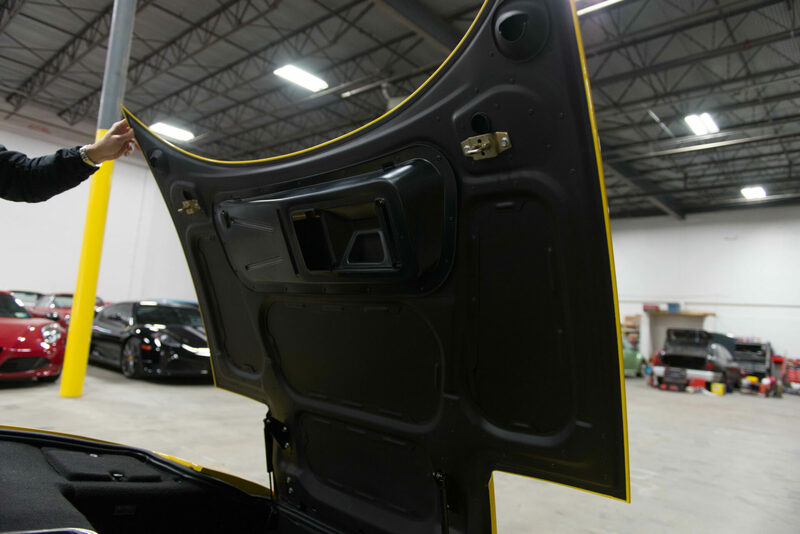 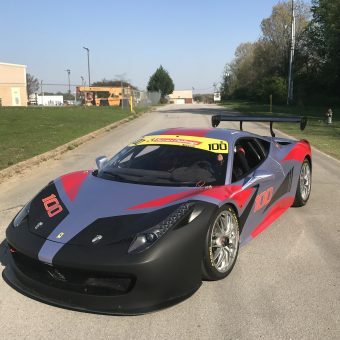 (3.4L V8) Along with all of the engine modifications, over 1300 hours were spent refining the aerodynamics of the vehicle. 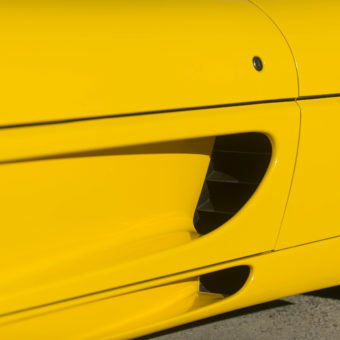 A Nolder profile on the upper portion of the tail along with an underbody fairing generate downforce when the car is at speed. 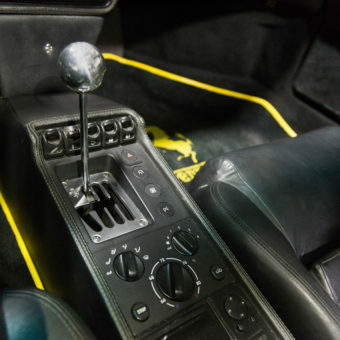 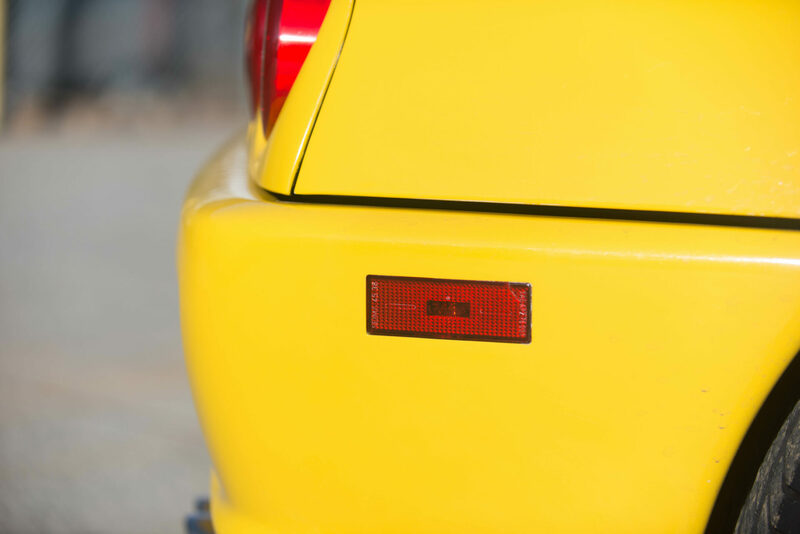 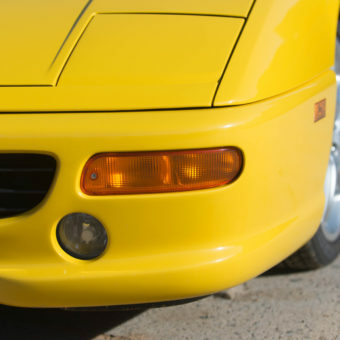 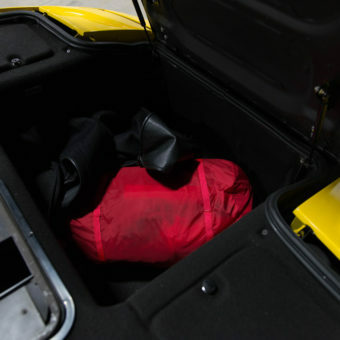 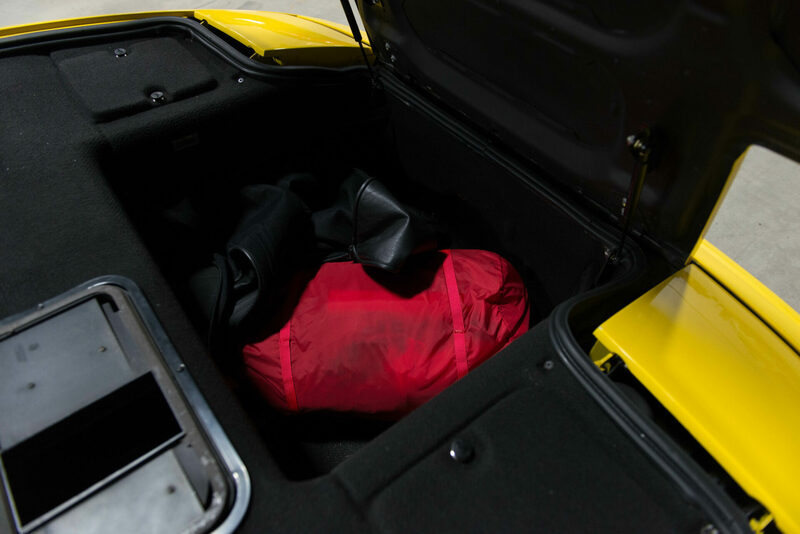 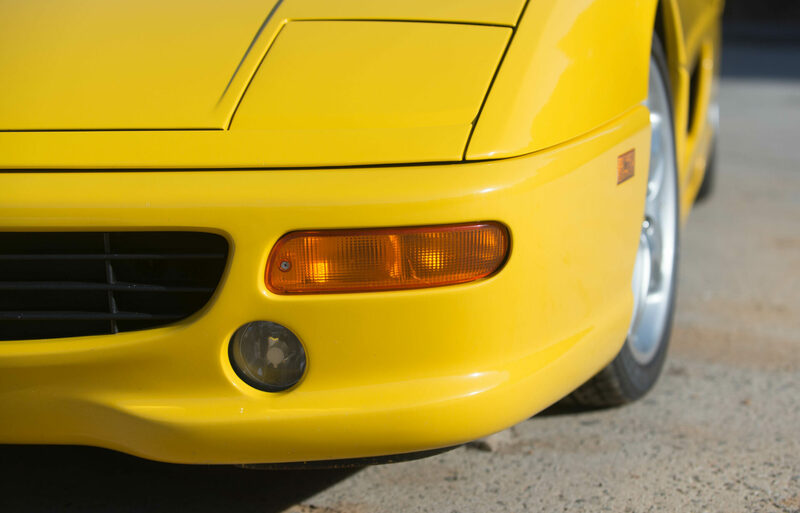 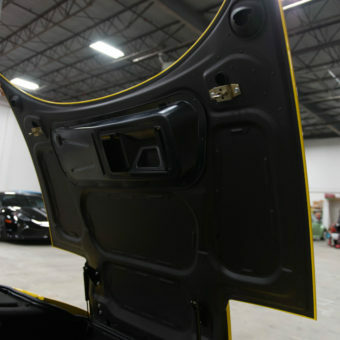 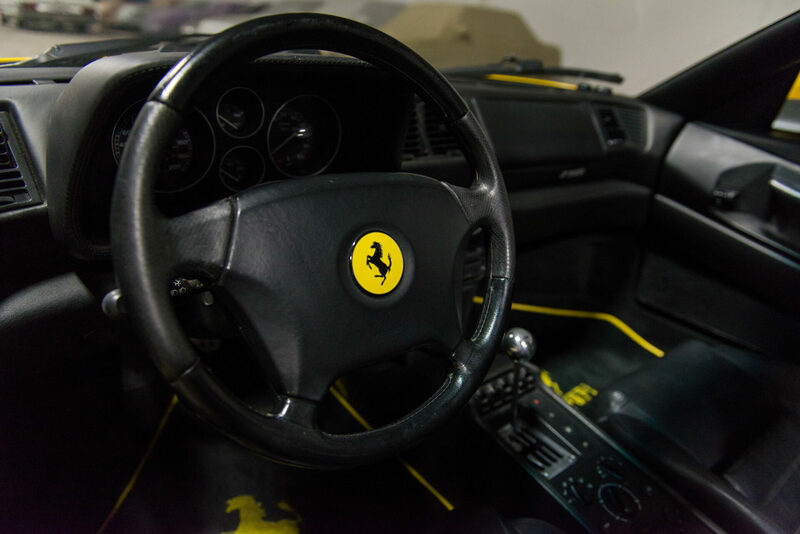 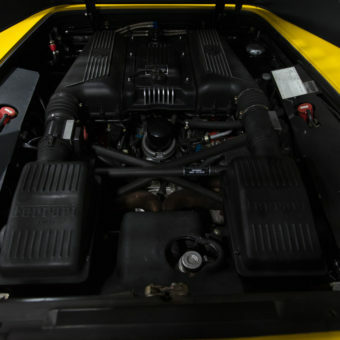 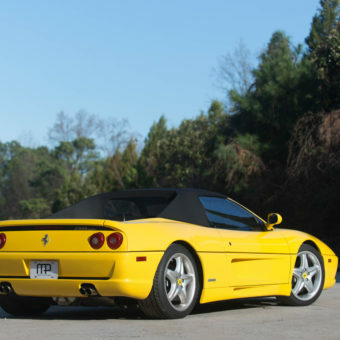 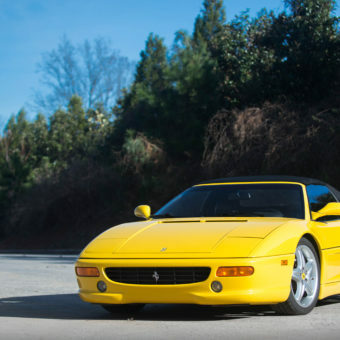 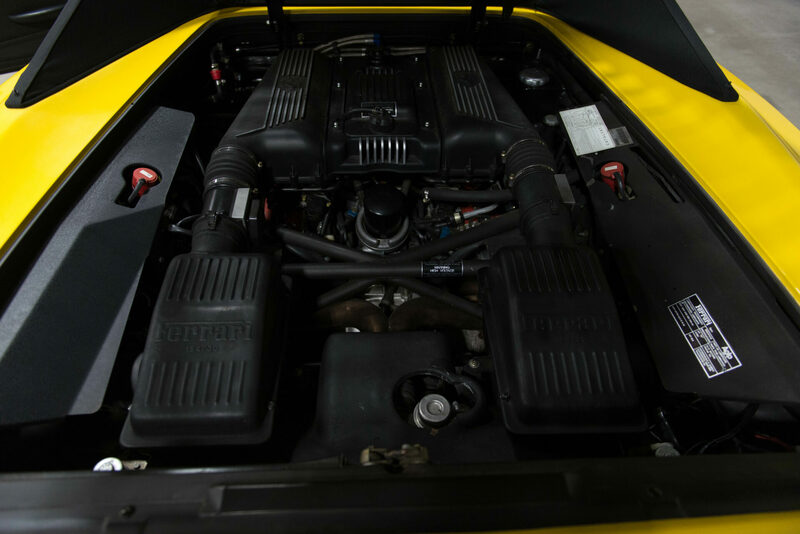 This particular F355 example is a 1995 and is offered in stunning Giallo Modena over Black Connolly Leather. 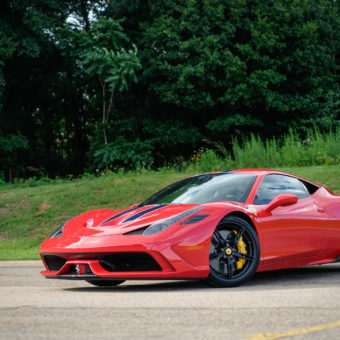 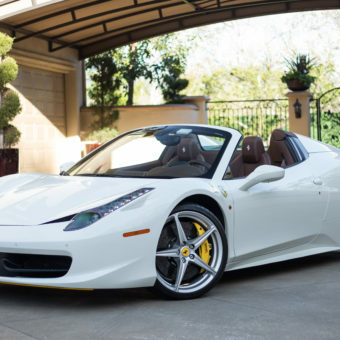 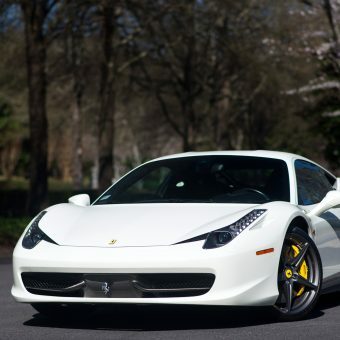 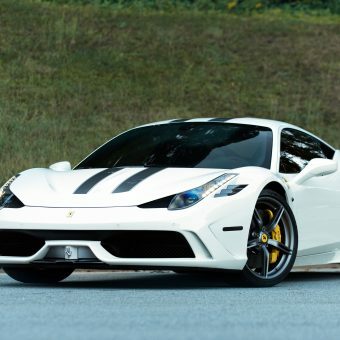 It features a 6-speed manual gated transmission and currently shows 40,454 miles on the odometer. 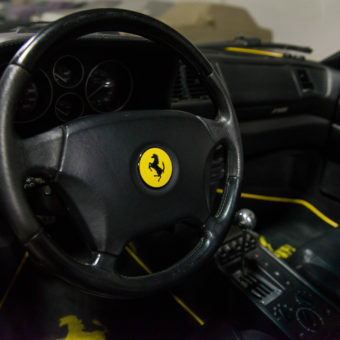 This vehicle is in very good condition and would make an excellent driver’s example.